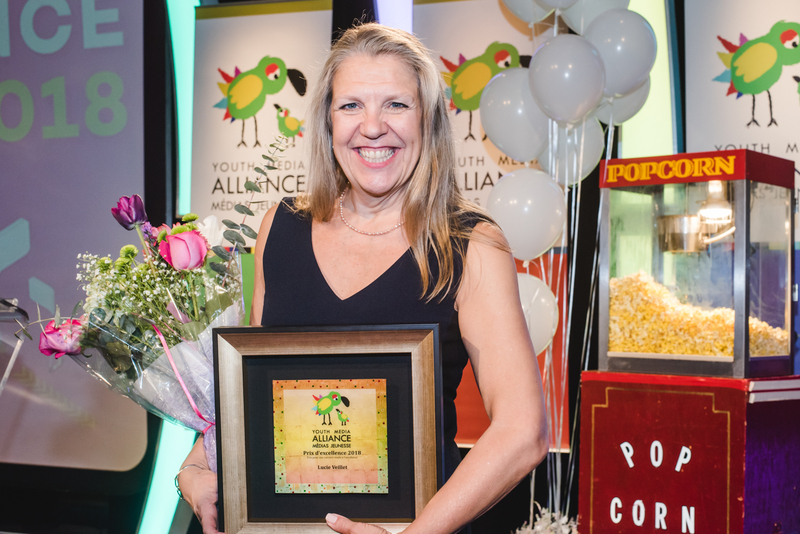 Lucie Veillet received the Outstanding Achievement Award, presented by the Youth Media Alliance. This prestigious recognition is given to a person with an exceptional career in youth production in Canada. Distinguished producer and creator, Lucie has become a real specialist in content for young audiences.